I love cherries all year round. They are perfect in the winter for Thanksgiving and Christmas. There was nothing like my grandma’s cherry pie! I can hear her now telling me she just baked a cherry pie and it was all for me. I was blessed to have my grandparents live right below my house in our hollar. I would bring an empty stomach and sit and visit with her before climbing up the hill to go home. I’m guessing my grandma had been making cherry pies her whole life because that’s also my dad’s favorite. It was a tradition in our family to have cherry pie every holiday. What about the 4th of July, Memorial Day, and other Patriotic holidays? YES! Cherries are perfect then, too! The color of the red cherries stands out! 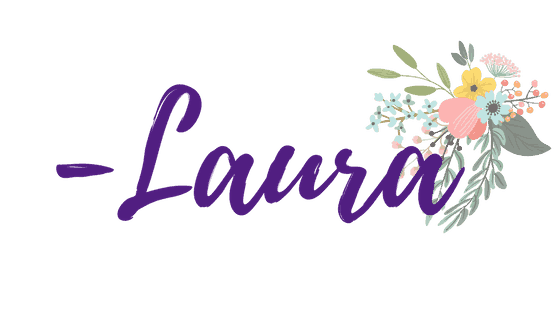 With my grandmother’s pie in mind, I set out to adapt a recipe to show my love for cherry pies to something a bit different for our National Holidays! 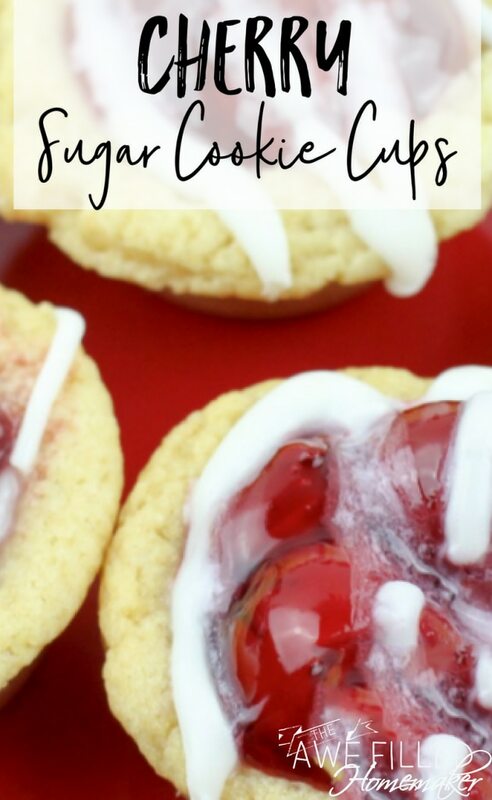 These Cherry Sugar Cookie Cups are just so cute and adorable! 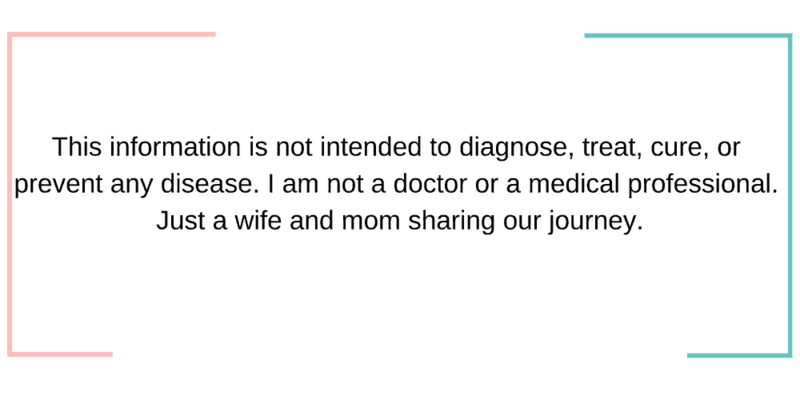 What’s great about this recipe is that it can be modified to fit any holiday! Valentines Day? 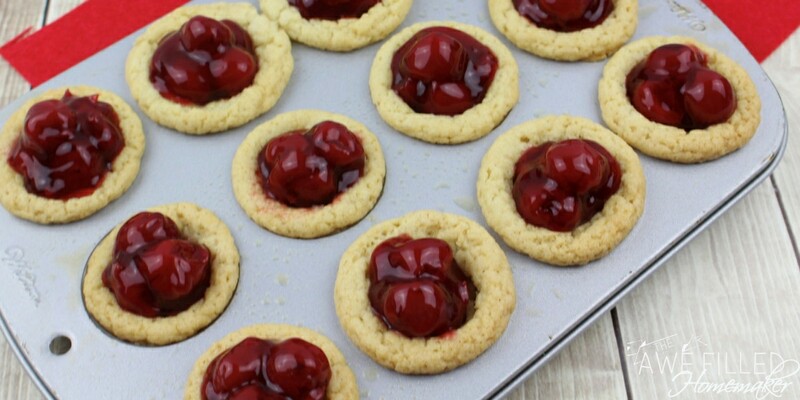 Create heart-shaped cookies. Christmas? Trees or snowmen shaped. Saint Patty’s Day? You get the point. 6. 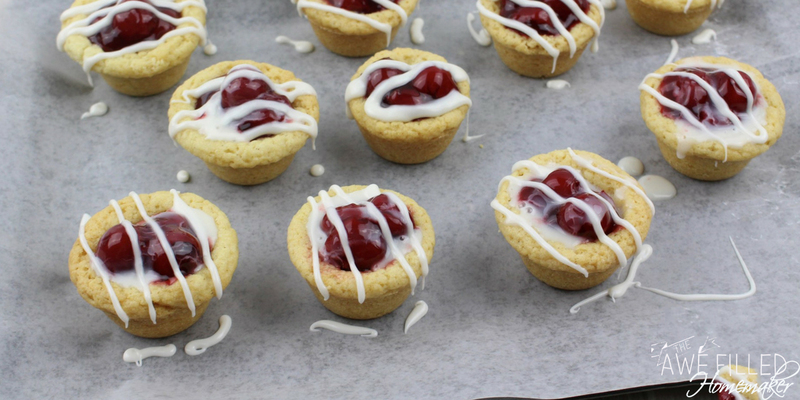 Fill each cup with 2 Tablespoons of cherry pie filling. 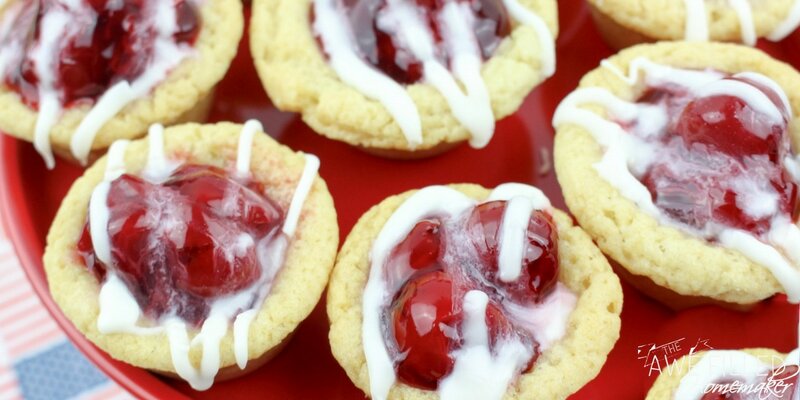 These Cherry Sugar Cookie Cups are just so cute and adorable! 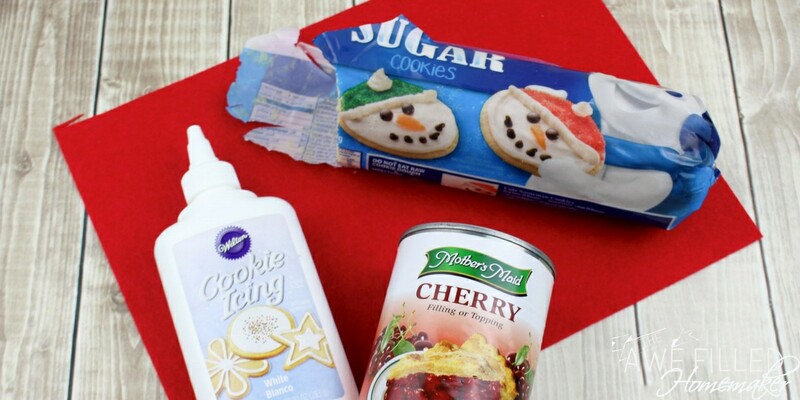 What’s great about this recipe is that it can be modified to fit any holiday! Preheat oven to 350°. 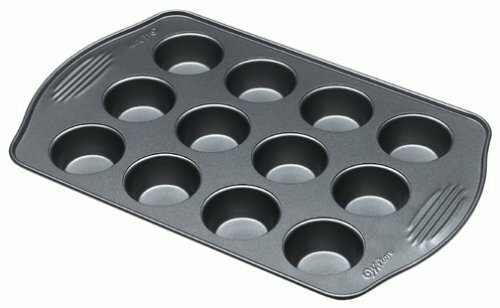 Grease or spray mini muffin pan with a non-stick coating. Slice the cookie dough roll into 6 (1/2 inch) slices (you will have 1/2 of the roll left in case you want to double the recipe). Cut each slice in half and roll into 1 inch balls. 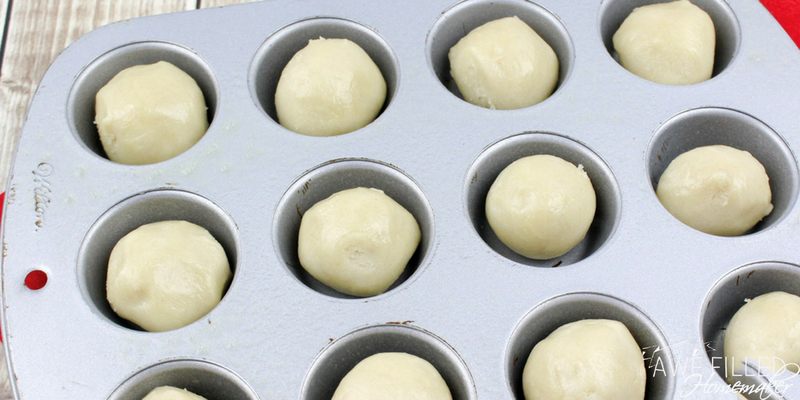 Place the sugar cookie dough balls into each muffin tin cup and bake according to package directions (14-18 minutes) or until golden brown. Remove from oven. 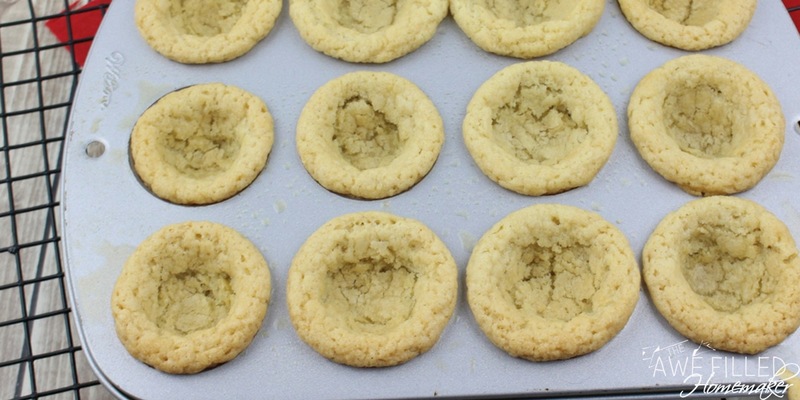 If there are some cookie cups that did not naturally form an indentation during the baking process, use a teaspoon to gently press down in the middle. Allow the cookie cups to cool in the pan on a wire rack for 5 minutes. 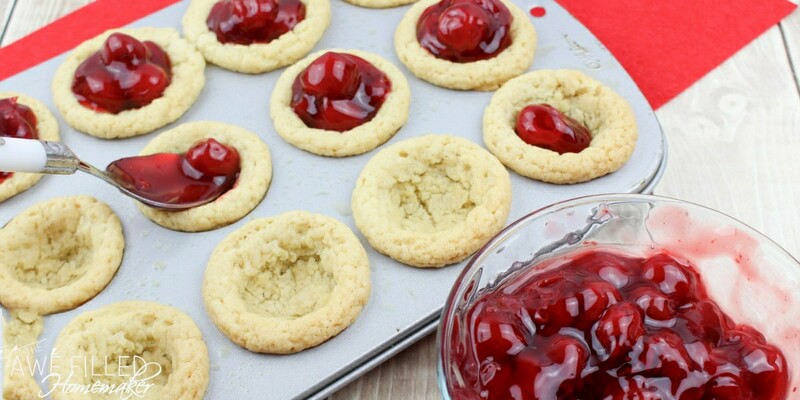 Fill each cup with 2 Tablespoons of cherry pie filling. 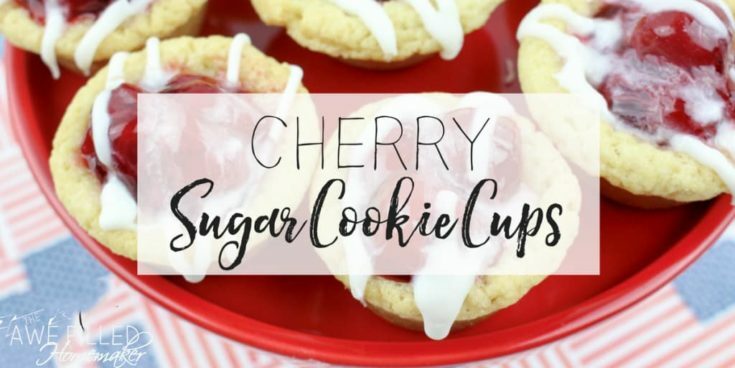 Generously drizzle the cookie icing on top of each cherry cookie cup and Enjoy!